In more temperate climates, these natives of Japan and Taiwan are rounded, deciduous, summer-blooming shrubs that are hardy in many growing zones. 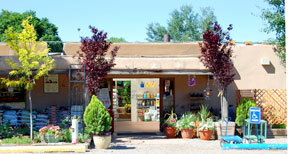 In northern New Mexico they popular blooming gift plants, especially around Easter and Mother’s Day. EBLAST NEWSLETTER AND PASATIEMPO COUPONS!